If you are considering bringing an animal in your life or to cheer up your child, please before a final decision do read this article. You are not deciding only about your life but also about the life of animal you are about to choose. Once you have definitely decided you want an animal that you are willing to look after, the next logical question is: where to buy it? You have several options - breeders, pet shops or shelters for abandoned animals. You have decided for breeders? Before doing so, it would be good to know few things. There are various types of breeders and they all do it for some of their interests, but not in the interest of the animals. Those who do not breed animals for money but as a hobby will list a number of ''logical'' reasons. A good excuse is not justification. It is still playing with other lives. Some common reasons are: doing it for the kids so their friends can like the existing pet and if you multiply them, everyone can have a copy; or they like their current pet and they want to grow it as much as possible so that they would never be left without him. It is needless to say that a descendent is an entirely new individual, completely different from their parents, and that has its own personality that does not match, and probably will never match with its parents. Once these breeders understand that it is ''too much work” for them and that the costs of veterinary care are not small, they find ways to get rid of their ''hobby”. 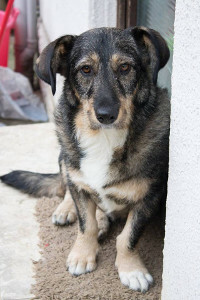 To abandoned dog in the shelter who is threatened to be killed or to be imprisoned for life will not mean a lot to mention the reasons for breeding as a hobby, as well as any other. Most people bred animals for profit and even those who "only" want to cover the costs. The breeders often do not stop at nothing. "Breeding" females get the worst treatment. In most cases, they are being raped by males. It may sound harsh but there is no other word for it. Female has no time to rest between two births and is constantly pregnant and expecting a new litter. In order not to defend themselves they even rip out their teeth. If you thought that these dogs (or any other animal for breeding) run free around the yard, you are wrong. In most cases, they are confined in small boxes, with minimal or even no sanitation. For them, a walk or a decent life is out of the question. Most of them are chained up. Such a treatment results with numerous stunted animals in the litter, mentally unstable and with various disorders. If breeders are not satisfied with the quality of dogs, they kill cubs and females are force in another pregnancy. Females become mothers before they are physically and mentally ready for it, and they are in the constant fear of other dogs and people, with the result of becoming aggressive. People raise a specific breed because of their pleasure and they have designed many of them as they please, but to animal detriment. Excuses are different, but methods of cultivation, generally, are the same as well as the sad fate of animals. Individuals with the desired qualities are being selected and they continue to breed. In this case, they often pair close relatives. If the new species is developing the situation is even worse. Then, they pair directly mother and children or siblings. In such pairing, except good genes, the bad ones are transferred as well which causes birth defects and diseases. Is it normal incestuous pairing only for human entertainment? Is it any selection and breeding for whatever reason and/or human interest justified? Have you ever wondered what exactly is worth a thousand kunas on a dog or, in a worse case, euros? How a living being can be labeled and have a price? And which blood is pure blood? The dog is man's best friend, at least they say so. Do you exhibit your friend, push him to breed and evaluate him by physical characteristics? The dog does not know that he has the papers proving his pure blood and it doesn't mean nothing to him. What they want is security and love and the shelters are full with animals that have such wishes. Every new potential buyer pays all the cruelty and justifies further violence and attitude towards the animals as if they were objects. For exotic animals tragedy is far greater. How many animals have been cruelly caught or bred for profit and trapped in pet shops to be sold. Do not support this evil industry. Animals are not objects. They are living beings whose interests must be respected. Do not buy a dog or any other animal, but adopt abandoned dog or a cat and with such praiseworthy action, take part in the rescue of bred animals and animals in the shelters and spread the message of compassion.